Recently, I have created a series of posts responding to the most frequent issues I get about websites and online marketing. Do I need a website when I can have a Facebook Page? I'm not on Facebook nor Twitter why do I need to share links from my Website? I heard I need to blog, how do I do that? What is SEO and how do I get started? There are many misconceptions regarding social media, blogging, and websites in the business community. My goal is to clarify them with this collection of posts for the beginner. 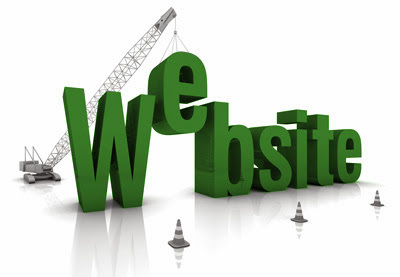 For a Small Business, having a website has become an essential part of doing business. More than ever, online marketing (or better known as content marketing) is proving to be one of the most efficient ways to promote your business products and services. Even though social media and blogging have revolutionised and to some point even the playing field (enabling Small Businesses to compete with larger more established companies); most Small Businesses still don't have a website let alone a strategy to integrate their online and offline marketing efforts. Fortunately, the biggest impediment is the unknown and lack of understanding of what all this new internet stuff does. Therefore, you can learn and surpass the challenge; you don't need to become an expert in the field, but you should be able to have a clear understanding of what your business needs when it comes time to hire help for your online marketing plans. Whether you are selling products online or just trying to promote the services your website needs to work for you. The days of having a static online brochure are gone, if your site is not generating leads or dollars for your business, then it is time to change. Read more: The seven most important elements for a business website. Producing relevant and useful content for your audience (the customers you want to attract)is one of the best ways to engage a client, generate leads and become a leader in your business industry. You need a strategy so you can consistently produce content that encourages engagement and discussion and showcases your passion and knowledge, so your visitors know you are the best choice. Blogging is an essential element of content marketing. Do you want visitors to keep coming back? Fresh new content is the best way to generate repeat visitors. Stay on topic, create content relevant to your audience and your business will gain credibility. Solve a problem for your visitor, and you will earn loyalty. It is a winning formula and for maximum effectiveness make sure its content and site are search engine optimised and shareable in multiple social media channels. Read more: Your successful business blog. Search engine optimisation, the thing that determines how far up your business ends up on a search result page. Google’s mandate is to provide the best outcomes for the person searching; it doesn’t just look at the words entered in the search field but also to the meaning of the phrase. Great content that gets shared and talked about, produces a better ranking, and it is found by the people you want to reach. Read more: SEO Search Engine Optimization For Your Website. Mobile device adoption is massive (91% of all people on earth have a mobile phone); hence, a mobile website has become imperative for any business. Therefore, your site needs to fit in your visitor's phone screen, not only that; they need to get to what they are looking for fast. Miss any of those points and they will move to the next website; your competitors most likely. Read more: Your Successful Mobile Website. Make no mistake; social media is your content distribution channel and the most efficient way to get more visitors to your website. Having a good presence in social networks where your audience is can increase your website traffic. The best online marketing tool and still one of the most useful for converting leads into clients. Now that opt-in for newsletters and special announcements has become standard on most websites there is a significant benefit in nurturing those email lists. These are people that want to hear from you when you have something new to share. The list is not that big, but each item has its intricacies. Follow the links to each post for ideas on how to best use them. Your business will benefit when you have them all in place. Make sure you register for the weekly blog updates, get my latest post directly in your inbox.